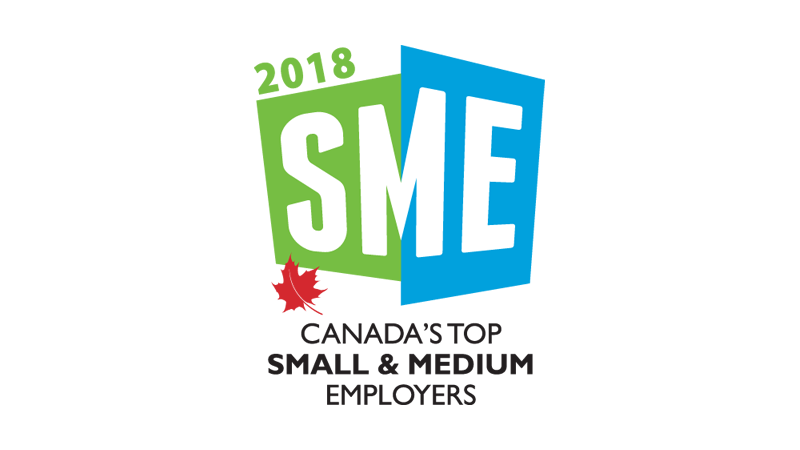 The “Everyday Mavericks” of Startec are proud to announce the company has been selected as one of Canada’s Top Small & Medium Employers (Reasons for Selection). Now in its 5th year, the competition recognizes the small and medium enterprises (SMEs) that offer the nation's best workplaces and forward-thinking human resources policies. 2018 winners were announced in a special magazine published by the Globe and Mail on April 13, 2018. At Startec, ‘Everyday Mavericks’ Find Ways to Succeed. start to finish and is challenged to find the solutions that best serve customers’ needs. Startec takes a very structured approach to employee engagement. On the shop floor, each workday begins with a 12-minute “adrenaline meeting” that reviews the previous day’s accomplishments and challenges and outlines the goals for the day ahead. Managers hold one-on-one meetings with staff on either a weekly or bi-weekly basis. Work-life balance is also encouraged through a flex-time policy as well as social and recreational activities.